Serving Hollywood Township are supervisor Jim Burns, supervisor Ron Kassulker, treasurer Mary Fillbrandt, clerk Pam Henry-Neaton, chair Mike Lynch, and maintenance worker Bruce Osborn. 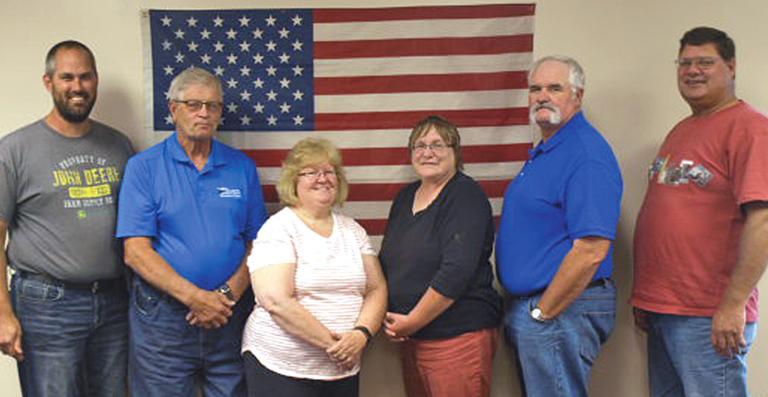 Hollywood Township officials include clerk Pam Henry-Neaton 952-353-1515, supervisor Jim Burns 952-955-5061, supervisor Ron Kassulker 952-955-3085, chair Mike Lynch 952-955-2594, and treasurer Mary Fillbrandt 952-353-2474. Meetings take place the second Monday of each month at 7 p.m. in the Hollywood Township Hall, located at 15855 Co. Rd. 122 in Watertown. Mail should be sent to 15855 Co. Rd. 122, Watertown, MN 55388. The phone number is 952-955-3630 (township hall), or 952-353-1515 (township clerk number). Email is Hollywoodtownship@hotmail.com, and the website is www.hollywoodtownship.com. Residents may stop in to pick up recycling coupons of a value of $10 per household at the monthly meetings that may be used at Randy’s recycling in Delano. Residents may use the recycling station at Mayer. Please check the website for more information. Residents may get burning permits online at Hollywoodtownship.com. There is a link for permits on the site. Building permits may be obtained by calling Carver County Planning and Zoning at 952-361-1820. McLeod Power Cooperative, 1231 Ford Avenue in Glencoe. Electricity outage calls, 320-864-3148 or 800-494-6272. Xcel Energy, Residential Customer Service, 800-895-4999; Business Solution Center, 800-895-4949. Frontier Communications, 800-435-1504, or for customer service, 800-921-8101. Embarq, 800-788-3500, 24-hour repair service 800-788-3600, TDD/TTY 800-627-3529.